Baby Update: 3 months old! 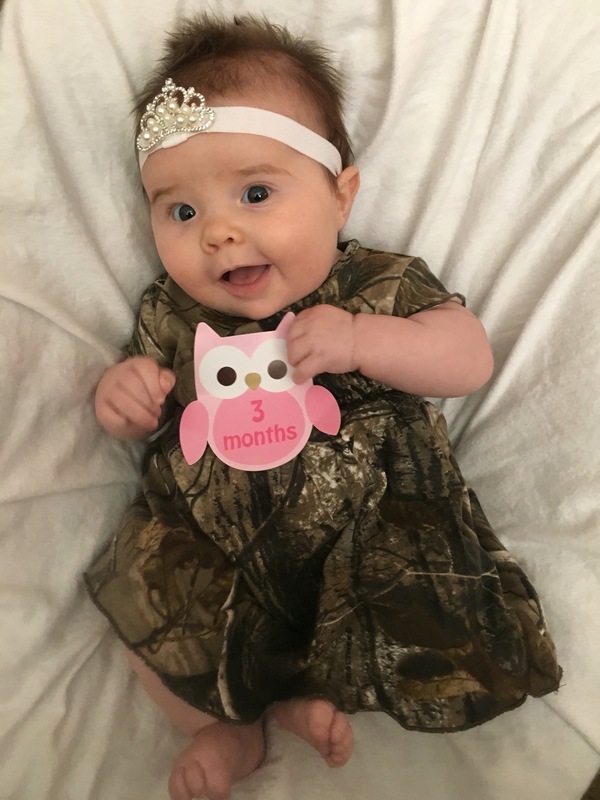 Along with it being Valentine’s Day (my least favourite holiday…ever) it is also the little peanut’s 3 months! Crazy to think how fast time of going… Wasn’t she just in my belly all wiggly and squished? Height & weight: We don’t go back to the doctors until 4 months, but by weighing her on my own, she seems to be around 13 lbs 6 ounces! 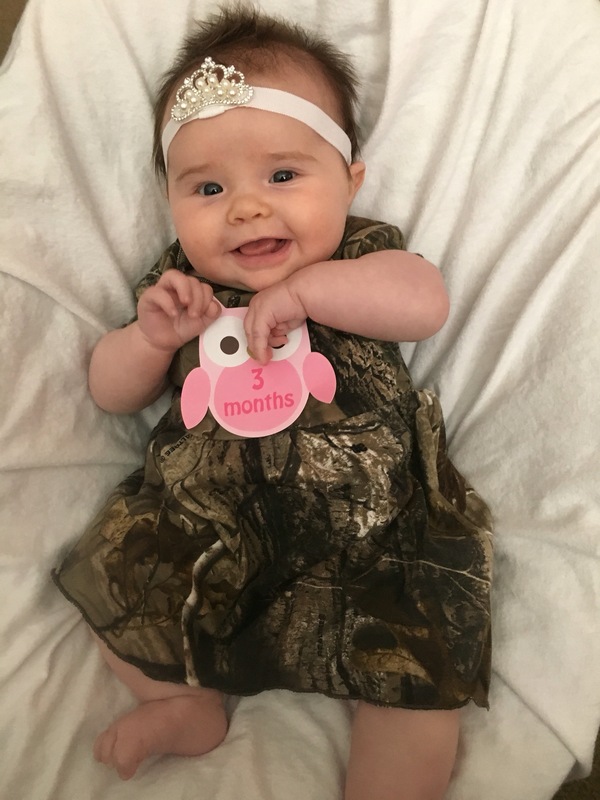 Clothing: Aurora is fitting 3 month clothing. Our favourite things to wear are our footie pajamas, long sleeve onesies and leggings (since Florida has had some cooler weather lately!). We still don’t like socks and will do anything we can to kick them off. Sleeping: Well, we are working on getting a proper sleeping routine down. Aurora sleeps from about 9pm till nearly 7am every day! Still not the best napper, unless at Gami’s house… But we’re still working on it. Food: Peanut has certainly not lost any of her appetite. We are eating 5ounces of milk every 2-3 hours. Noises & sounds: Someone has become extremely vocal this month. She loves listening to herself talk and yell to get people’s attention. We are still working on the laughing, we get a little chuckle but no real laughing… yet. Favourite things: We love to talk, sleep in with mummy and daddy, and snuggle close to anyone who will hold her. Unhappy things: Aurora turns into a baby Hulk when the milk ends in the bottle, which is slightly hilarious. We also don’t enjoy the evil car seat. Funnies: This month we have started to get a sense of someone’s littler personality! Aurora also got to meet her “boyfriend”, Nico, in person! She was not sure what to do.. Another baby? She loved it… And so did he. Mummy & Daddy’s favourite memory: This month we both have the same favourite. We both are so in love with how much Aurora has begun “talking” to us. We could both just sit and chat with her back and forth all day. Baby Update: 2 months old! Baby Update: 4 months old!